The Steel Sheet Pile cofferdam is the most commonly used one kind of Sheet Pile cofferdam.Steel sheet pile with lock is a kind of steel, its cross section has a straightforward form, trough, and Z, there are all kinds of size and interlock forms.Common larsson type, lackawanna type, etc. 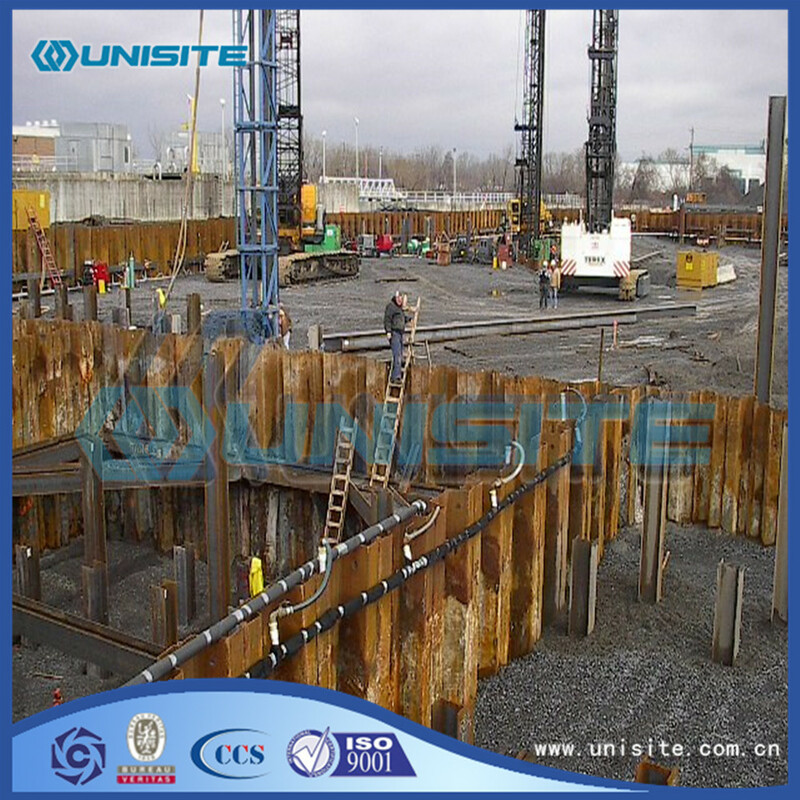 The following advantages: high strength, easy to break into hard soil layer;But construction in deep water, if necessary, add inclined support into a cage.Waterproof properties is good;Will be effected according to the need of all shapes of the cofferdam, and can be used repeatedly, so it is widely used. (1) Construction preparation work: before pile into the pile tip groove mouth should be closed, avoid mud diaper, lock should be coated with butter or other oils. 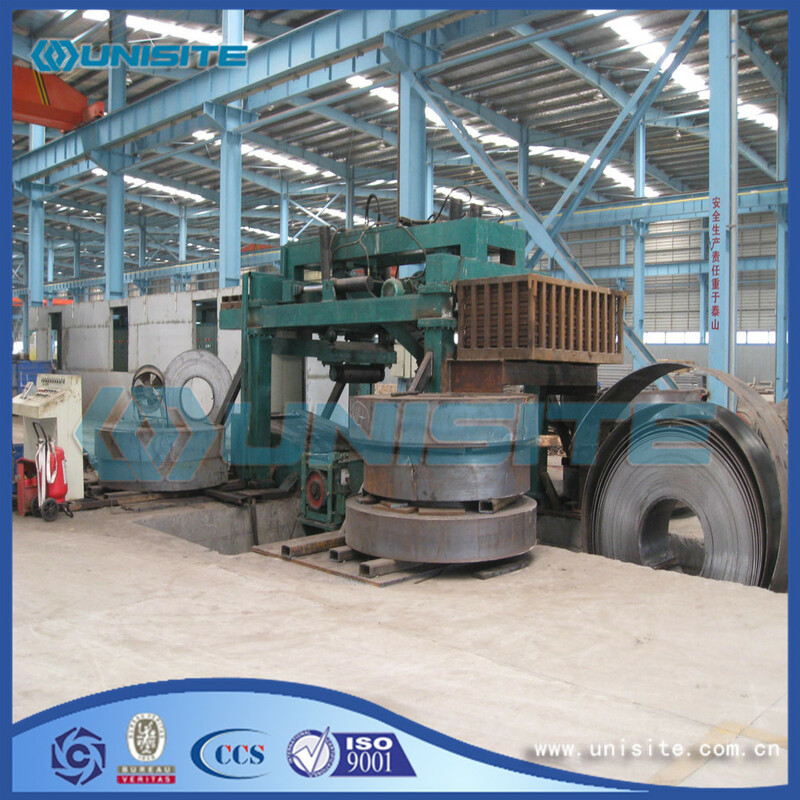 In disrepair, lock mouth deformation, corrosion serious steel sheet pile, should be made to rectify, the bending deformation of the pile, one thousand jins available oil pressure by pressure or fire drying method to correct. (2) the pile of flowing water. (3) in the process of pile driving. To ensure the verticality of steel sheet pile. With two electric theodolite controlled in both directions. (4) begin to play one or two pieces of steel sheet pile shall ensure accurate location and direction, in order to play a role orientation model, so each scored 1 m should be measured, until after a predetermined depth with steel or steel plate and purlin temporary fixed bracket welding. (1) into the way choice. Separate into law, starts from the corner of the wall, piece or two piece for a set of play set, until the end of the project. Its advantage is construction convenient, quick, don't need other auxiliary support. The downside is: easy to make the sheet pile tilt to one side, and error accumulation is not easy to correct. Therefore, separate into the law only applies to the sheet pile wall request is not high and the length of the sheet pile smaller (e.g., less than 10 m). 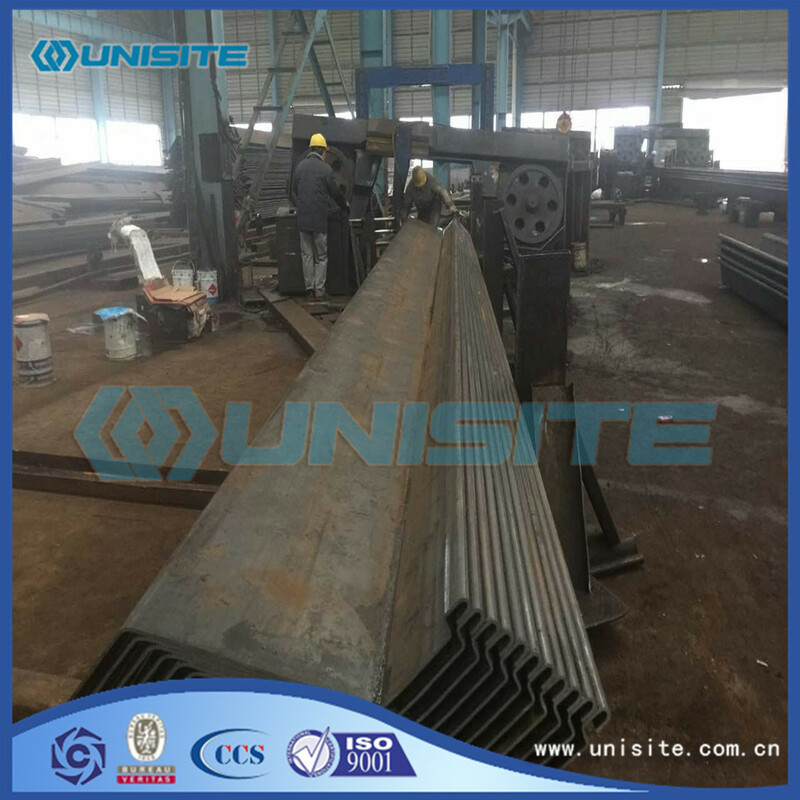 (2) into the method of screen type, it is 10-20 steel sheet pile rows inserted within the guide frame, a screen, and then play batch. According to the first screen wall on both ends of the steel sheet pile to play to the design elevation or certain depth, become positioning sheet pile, and then in the middle order l / 3, ladder shaped into 1/2 sheet pile height. Scoring method has the advantage of screen type: can reduce the tilt error accumulation, prevent excessive tilt, and easy to achieve closed closed, to ensure the construction quality of sheet pile wall. Its defect is: insert pile of free-standing height is bigger, attention should be paid to the stability of the pile and construction safety. (3) the steel sheet pile's play. Piling, begin to play a first and second piece of steel sheet pile into the position and direction to ensure the accuracy, it can model guiding role, general each scored 1 m should be measured - time. Angle and closed closed construction of steel sheet pile can use special sheet pile, fittings, the place lap and axis adjustment method, etc. In order to ensure safety construction, attention should be paid to observe and protect important pipeline within the scope of operation, high voltage cable, etc. (4) the steel sheet pile pulling. In the foundation pit backfill soil, to pull out steel sheet pile, in order to reuse after finishing. Before pulling out the steel sheet pile pulling sequence, time and pile hole processing method. Steel sheet pile pull out, to overcome the resistance of the sheet pile, depending on the pile machinery, pile drawing method with the static pile pile, impact vibration pile drawing and drawing. Pulling operation, pay attention to the observation and protect important pipeline within the scope of operation, high voltage cable, etc. 1, impact of piling machinery: free drop hammer, steam hammer, air hammer, hydraulic hammer, diesel hammer, etc. 2, vibration pile driving machinery: this kind of machine can be used for piling can also be used for piles, commonly used is vibration pile hammer. 3, impact vibration piling machine: this machine is in vibration pile driver set the impact mechanism between body and fixture, up and down in vibration machine vibration at the same time, the impact force, make the construction efficiency is greatly increased. 4, the static pressure pile machinery: press the sheet pile by static in the grave. Looking for ideal Sheet Pile Steel Manufacturer & supplier ? We have a wide selection at great prices to help you get creative. 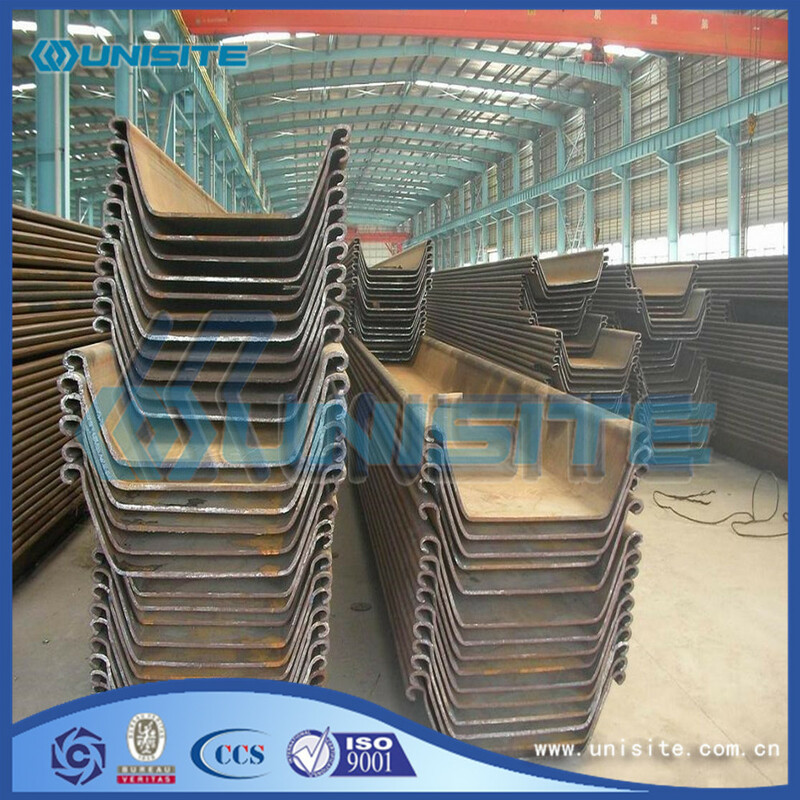 All the Composite Sheet Pile are quality guaranteed. We are China Origin Factory of Concrete Sheet Pile. If you have any question, please feel free to contact us.